On our visit to the Museums Collection Centre we were overwhelmed with the range of items and artefacts within the collection. The sheer scale and size of the collection was quite overwhelming, especially within the austere space of the warehouse. The range of items with the collection vary from items of furniture, window frame and doors, broken and separate window reveals and sculptures alongside larger items such as model of the Birmingham Canal Network and a microwave mast from the BT Tower. The collection shows how items of past spaces can be stored for future generations and not preservation of a whole item may not necessary be possible. Items such as the original door of the fire station in the Jewellery Quarter show how a building can be retained without necessary the whole building. 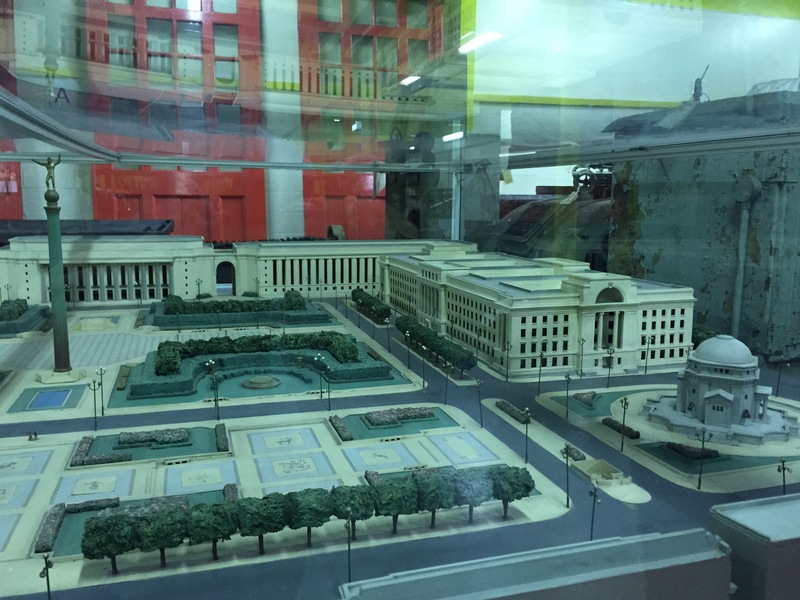 With particular reference to Paradise Circus – the original 1926 model of John Haywood’s scheme for the civic centre extension of Birmingham is housed within the collection. A major comparison between the 1920s dream for the area next to Paradise Circus and the future that was created that will be demolished could be made from this one item.